This product is based on GSM/GPRS network, and provides GPS/LBS positioning function.1000mAH build-in battery guarantees the long time stand by, lastest GPS chip and GSM chip guarantee the accuracy and fast uploading to system, make it real live monitor. This ID Card is very neat, small, Credit card size, and only 7mm thin. This is extremely easy to carry with comparing with other personal GPS trackers in market. 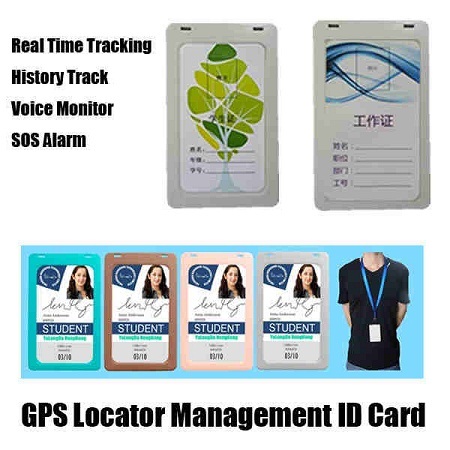 The Portable Personal Card is perfect for students, children, elders, patrol, businessman, outworker, travellers, it will provides the real time data to make sure the security and simplify your management work. The device is based on the GSM / GPRS network, use it in the area GSM / GPRS network coverage.